Apple has used its Back to the Mac media event in San Francisco to unleash a new version of the iLife software. The UI, which also includes a new slideshow feature has also been overhauled to look a little more like an iOS 4 app than in previous versions. Apple is also touting 15 new movie trailer pre-sets to allow amateur auteurs to compose the best possible advert for their new blockbuster. iMovie '11 also boasts a better audio editing experience to allow easier adjustments to audio levels and new "one-click" sound effects. (The example shown on stage was lowering the tone of a kid's voice to sound like Darth Vader. As you'd expect Garage Band has also undergone a facelift, with a cool feature called "groove time" which brings all of the other instruments into time with the "star instruments", so if the guitars are out of time with the drums, you can fix that in one click. 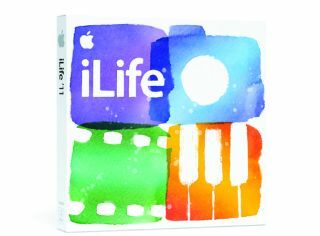 iLife '11 is free with all new Macs and will be a $49 upgrade for all existing owners.